One of the biggest temples of the Old Mysuru region including Bengaluru is the Srikanteshwaraswamy temple or Nanjundeshwara temple in Nanjangud (Officially known as Nanjanagudu) town. This temple is on the banks of the river Kapila which is also called as the Kabini. This river is a tributary of the river Cauvery. The major attraction of this temple is Dodda Jathre which will be held on March 19 this year. Five chariots are the major attraction of this car festival. These chariots are pulled through a specially prepared rope by the locals. The devotees wait from the wee hours to pull the chariot. Pulling the chariot is one of the offering made to the lord Shrikantheshwara here. As part of the car festival, a small exhibition is also arranged by the district administration in association with the other governmental agencies. Special police forces are deputed to maintain the law and order situation at the time of the car festival. The Srikanteshwaraswamy temple is worshipped by millions of devotees across the globe. Every year over 5 lakh devotees attend this Dodda Jathre. The highlight of this car festival is Pancha Maha Rathotsava. This means the idol of Lord Nanjundeshwara and other deities are taken in a procession in five big rathas (chariots). In this Dodda Jathre 5 chariots are pulled by the devaotees in the main street of the old town. Devotees pull 5 chariots during this day & some of the devotees also do Jagarana on this night as on the night of Mahashivrathri. As part of the Dodda Jathre on the River Kapila, there will be an impressive floating Theppotsava for Lord Shiva for a day. 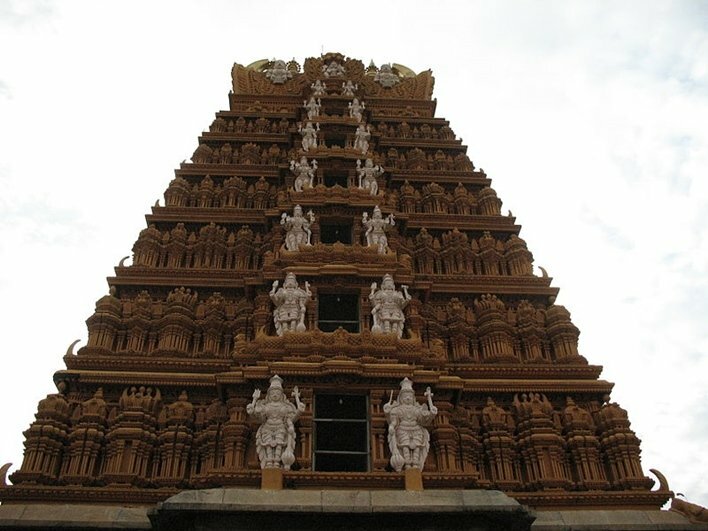 One of the important historical and mythological temples in the Mysuru is the Nanjanagudu Srikanteshwara Swamy Temple. This temple is located 25 kilometres from Mysuru city and around 16 kilometres from the Mysuru airport. This temple is dedicated to Lord Shiva who is worshipped in the form of Nanjunda. In Kannada, Nanjunda means a person who consumed poison. This myth is related to the Samudra Mathana from the Hindu mythology. At the time of churning of the ocean by gods and the demons using the snake god Vasuki, before the nectar, poison came out. At that time Shiva rescued all by consuming the poison making him Nanjunda or Visha Kanta. Lord Shiva is worshipped in the form of Shrikanta/ Vishakanta / Nanjunda in the temple. The belief is that the deity cures all kinds of diseases. According to the devotees, besides the temple deity, even the soil and the water of the river Kapila are also curing a lot of ailments. So the deity is worshipped as the bhavaroga vaidya means one who cure all kinds of diseases. According to the scholars, in Hindu Puranas, this temple town is referred to as Garalapuri. According to the mythology, Nanjangudu has been considered as a holy place sanctified by Gauthama and Parasurama. 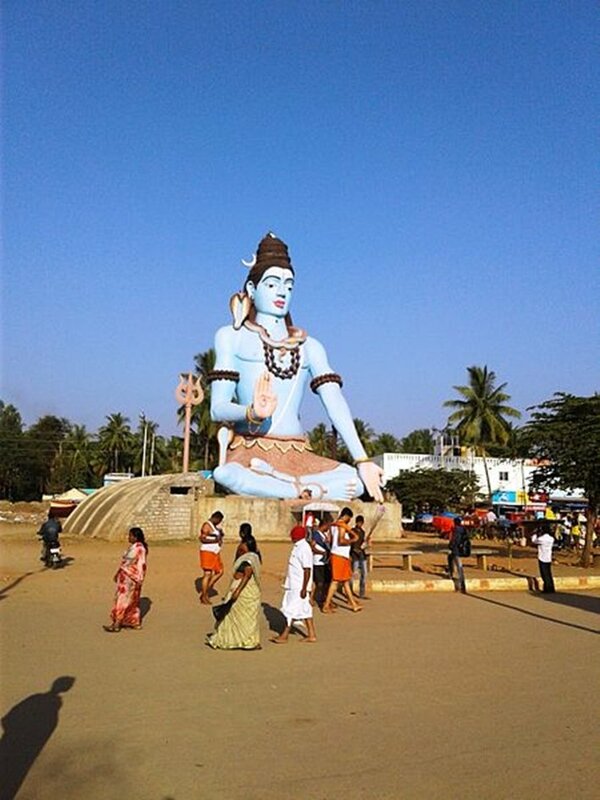 Parashurama who is worshipped across south India, after killing his mother Renuka visits the Nanjanagud. He takes a holy dip at the Kapila river and later offers prayers for the Srikanteshwara to get rid of his sin of killing the mother. There is a temple dedicated to the Parashurama in the town. In Kannada folklore, a lot of ballads are written about the temple and its presiding deity Nanjunda. According to the folk ballads, Nanjunda was in love with Chamundi of Chamundi Hills in Mysuru. he other major attractions of this temple which is part of the temple architecture include the Mahadvara (main entrance). It has seven – stories. It is decorated with seven gold plated Kalasas. The Kalasas are of three meters in height. One can find many gorgeous bronze icons that cry for attention and prominent among them are Tandaveshvara, Chandrashekaramurthi, Narayana with Bhudevi, Chandikeshvara, Parvati, and others. The inner part of the wall also has 32 forms of Ganapathi mentioned in the Mudgala Purana. The temple boasts of thousand year old history of various kings as each competed to expand this abode of Lord Shiva. During the 11th and 12th century, the Chola Kings had set in motion the construction and later the Hoysalas and the Vijayanagara kings made significant additions to the temple.. The temple construction, as we see it today, was completed during the reign of the Mysore rulers and the temple reached its enormous proportions due to devotion of Krishna Raja Wadiyar. 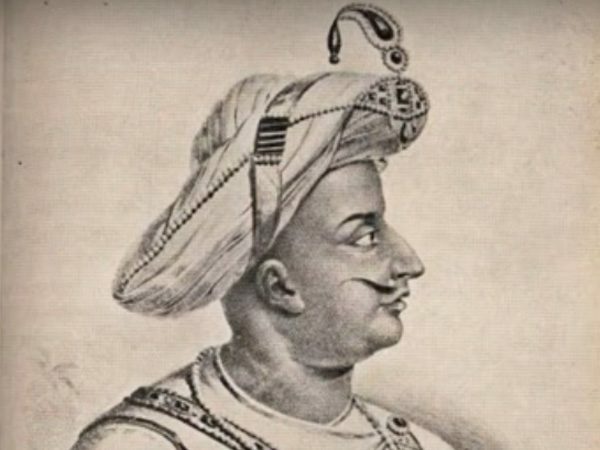 According to the history, Tipu Sultan revered the deity the Hakim Nanjunda and offered an emerald Linga and a necklace for helping cure his much-loved elephant of an eye infection. Sri Lakshmikanthaswamy temple: 9 kilometres from the Nanjanagudu at Kallale village. Sri Veenugopala swamy temple: 15 kilometres from the Nanjanagudu at Yemmaragala village. Sri Prassanna Nanjundeshwara swamy temple: 5 kilometres from the Nanjanagudu at Chikkayyana village. Sri Himmavad Gopalaswamy temple- 55 kilometres from the Nanjanagudu in Gundlupet. Suttur Mutt- 16 kilometres at Suttur village. Sri Bellligerirangana swamy temple on BR Hills which is 67 kilometres from the Nanjanagudu temple. Nanjanagudu is also world famous for its Raghavendra Swami Mutt and Virasaiva Mutts.